Amazing guide. 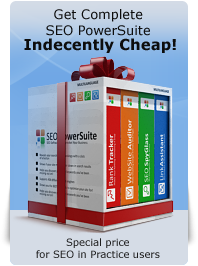 Since I looking to learn about SEO this guide is one of the best i ever read. Thanks for sharing. This guide is comprehensive and simply amazing! Thank you for sharing your knowledge, and success! This guide is comprehensive and simply amazing! I look forward to perusing the information contained herein, and am really excited to learn SEO! Thank you for sharing your knowledge, and success! Hi, I come back to upgrade my SEO course. Thanks a lot for share your knowledge. I'm totally inspired to read this intro..Dan Richmond! Hope I will discover my self more productive in SEO. I am a great fan of your resource. I always look for new post from you to plan my website SEO. I am really grateful to your advice and resource. SEO is very powerful and it meets your customers needs of being there in the time of their need. SEO is not just for your website but for your web properties.